This Sunday, bells of peace will ring out 100 times at sunset across Canada to mark the 100th anniversary of the end of the Great War. Fernie will be the first place in B.C. to chime in. This Sunday, church bells across Canada will ring out 100 times to mark the 100th anniversary of the end of the World War I. With its earlier sunset, the town of Fernie will be the first B.C. community to ring its bell with Michael Delich organizing the event at the Holy Family Parish church in the Kootenay town. "It's going to be a celebration of the end of the war, of course, but it's also a celebration of peace in our community," Delich told On The Coast host Gloria Macarenko. "A time for the youth and people of our community to remember." Fernie is taking part in Bells of Peace — a nation-wide effort by the Royal Canadian Legion to get communities ringing their bells as they did in 1918 when the Armistice ended fighting in WW I. 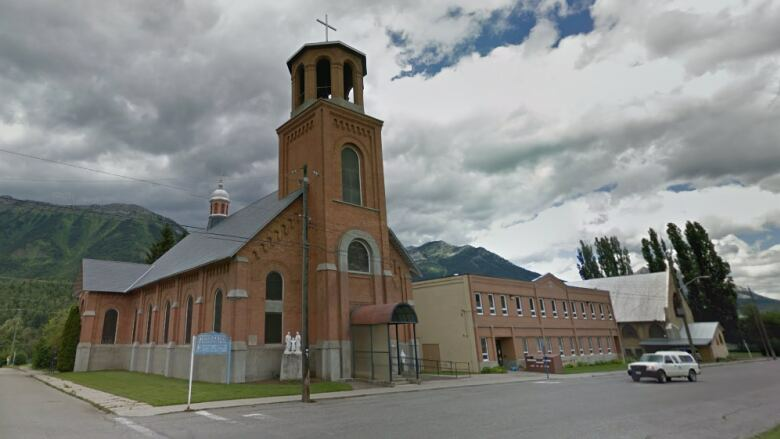 In Fernie, people with connections to WW I will be taking part in ringing the bell hanging in the church's 22-metre steeple. One of them is Regina Vinge, whose grandfather served in the armed forces of the Netherlands during that time. She said while the country was neutral, the threat of war was ever-present. She added that as a person of Dutch descent, she feels deep gratitude toward Canadian soldiers who liberated the country. "That's very special for me," she said. Vinge will ring the bell with other Fernie residents with connections to the war and members of the Fernie Ghost Riders hockey team, who will be providing the muscle to get the bells moving. The ringing will start just after 5 p.m. MT Sunday.